We’ve all been there. You’ve signed up for an online class that you’re super psyched about. You’re finally going to learn to code, or there’s a new design program you’re going to master. Perhaps, like me, you’ve got one more finance class to take before you’ll feel fully finished with your MOOC-based business education. But you keep putting it off. Perhaps you manage to log into the course and get started, but halfway through the first video lecture you notice that a new email has arrived in your inbox or someone has PM’ed you on Facebook. Before you know it, you’ve been sucked into the vortex we call the internet, the video lecture is over, and you have no idea what the professor said. I have finished over 25 MOOCs and other online courses as part of a project to do an extremely low-cost MBA equivalent, so I know what it means to drive back the dragon of distraction. A while back, I asked my community of learners to help compile a definitive list of all the tips, tricks, and hacks that they use to stay on task while studying online. Here is what we came up with. Maximize the course video. A simple but effective way to minimize distraction. Close all other windows. This is more aggressive, but it may be necessary. Log out of you email and social media. And while you’re at it, make sure you disallow these programs from sending you notifications even while you’re not logged in. The same goes for your phone. Put your phone on silent. Maybe put it in another room, too. Mark study times on your calendar. Then treat them like a real commitment. Set reminders on your calendar and on your phone. Don’t forget that you’ve set aside time to study! 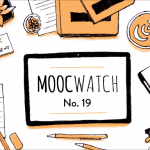 Do MOOCs at work — but only with your boss’s permission. Many supervisors will applaud your efforts at self-direction and professional development. Some will even pay for your course certificates. Use noise-canceling headphones. Block out audible distractions and stay focused on the task at hand. Listen to music that helps you concentrate. Many learners use this method to keep their minds from wandering. Pimp your study space. Make your study space comfortable and enjoyable to be in. Put images in your field of vision that will inspire you to succeed. Close your door. Simple but effective. Tape a goal to your workspace. Similar to #10. Having a written goal in plain sight in your workspace can help you keep your eye on the prize. Exercise while MOOC-ing. But be warned, it only works if you’re just listening to a lecture and don’t need to take notes or work on practice problems. Stand up or move away from the computer. Again, if you don’t need to simultaneously work on problem sets or answer quiz questions, it can help to move out of reach of your keyboard to avoid any lingering temptation to see what’s going on in other browser tabs. Reward yourself for completing small tasks. One completed lesson = one hilarious cat video. Pay for the course certificate. 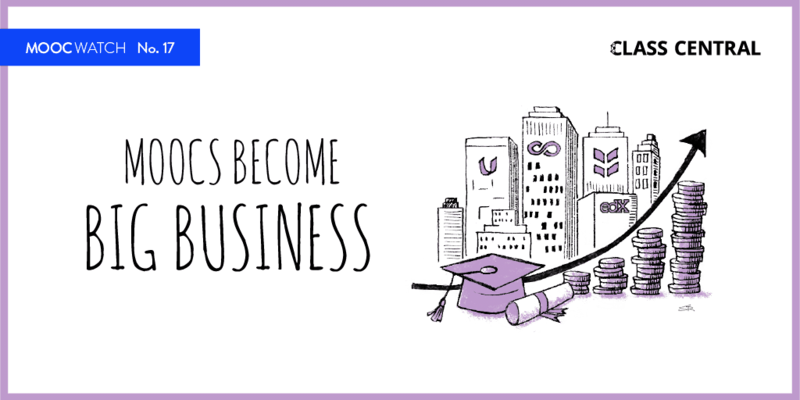 According to the MOOC providers, people who pay for a course certificate are more than ten times as likely to finish the course. Log your accomplishments. Whether you display your certificates on your LinkedIn profile or on an educational portfolio, or even in a private list, make sure you’re tracking your success. Announce your intentions publicly. When you register for a new course, post about it on Facebook, tweet it out on Twitter, and mention it to friends and colleagues. MOOC as a reward for finishing less pleasant tasks. 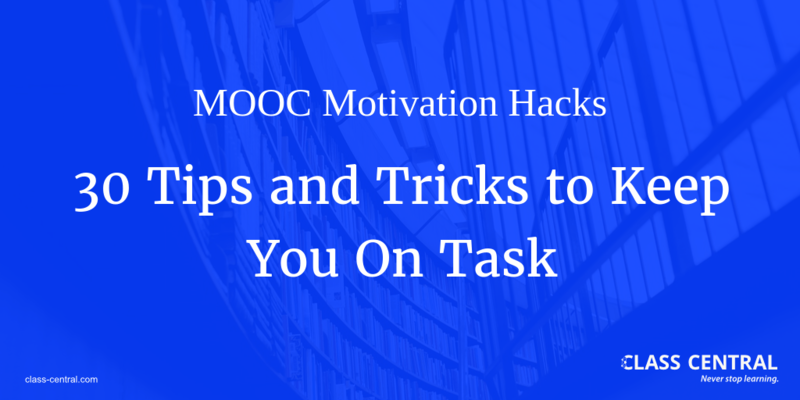 Rather than thinking of MOOCs as yet another to-do on your list, use your coursework as a reward for completing a difficult or un-enjoyable task. Use the Just Start technique. This simple technique says that if you simply take the first step, you are much more likely to continue. What is the easiest thing you can do to get started? Open the webpage, log in, or read through the syllabus. Or just open the first lecture and let it load. When you use the Just Start technique, you may be surprised to see that after you Just Start, it’s easier to Just Keep Going. Get dressed for work. This is a way of getting your professional game face on and keeping you serious, focused, and on-task. Give yourself small assignments. 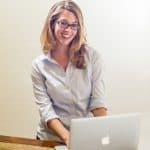 Like the Just Start technique, when you break up the work into very small assignments, like watching a single video or completing a single quiz, you can easily finish a course with just a few minutes of work per day. Become part of a study group. This is a powerful and proven motivator. Find a study group in the course discussion forum or bring your own to the course. Get a tutor or mentor. It may take some searching to find a tutor. 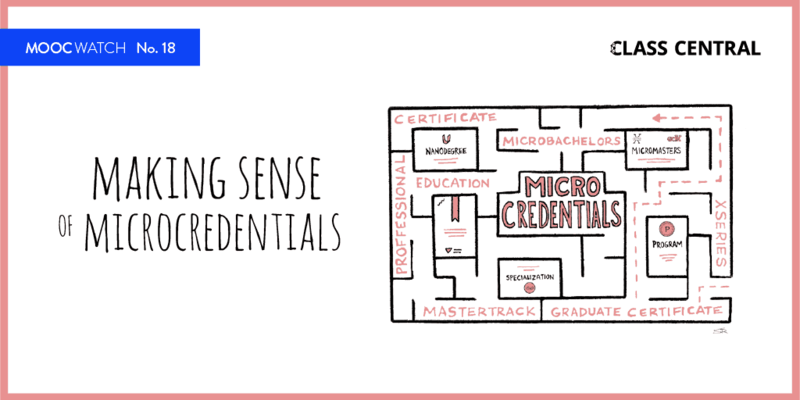 Some MOOC programs, particularly those that involve a certificate, offer mentorship as part of the course. Find a study buddy. Meet someone in the course discussion forum, or sign up for a course with a friend. Get an accountability partner. This is a great technique for staying motivated. All you need is a friend or relative who is willing to check in with you once per week and listen while you list your goals for the coming week and your accomplishments over the previous week. These tips were most frequently mentioned by the experienced MOOC takers that I spoke with. Use the Pomodoro technique. Similar to the Just Start technique mentioned above, the Pomodoro technique teaches you to work in a series of 25-minute intervals by setting a timer and then actually stopping to take a break when it goes off. That way your MOOC coursework is more approachable, since you only have to put in the effort until the timer tells you to quit. Also, you are able to more fully integrate the knowledge by vacillating between the focused and the diffuse modes of thinking. This technique is covered at length in the extremely popular MOOC Learning How to Learn. Listen to scientifically designed concentration music. Concentrate more deeply than with regular music by listening to tracks that have been specially designed to put your brain in a heightened state of focused awareness. Focus@Will is one such service. Crank up the speed. MOOC platforms like Coursera and edX allow you to set the playback speed. Multiple people recommended making the professor talk just fast enough that you have to pay close attention to keep up. Take notes. This was by far the most highly recommended way to stay on task. Type notes in a second window, draw them on a tablet, or keep a pencil and paper next to your computer — because even in this new world of online learning, nothing beats old-fashioned note-taking.